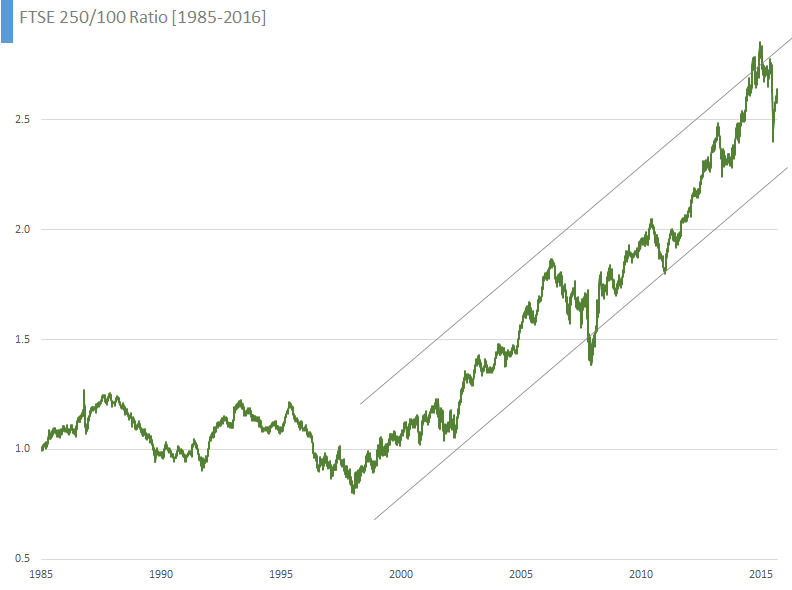 The following chart shows the ratio of the FTSE 250 Index divided by the FTSE 100 Index since 1985. 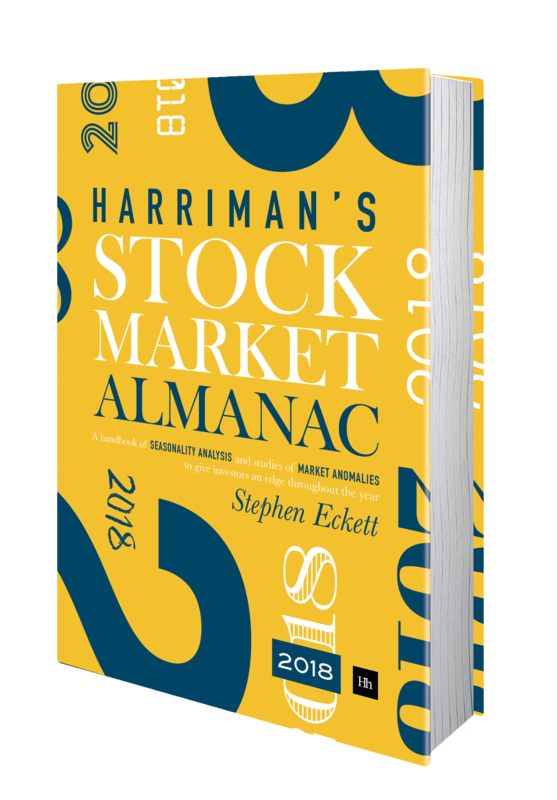 For example, yesterday’s close for the FTSE 250 Index was 18,342.1 and for the FTSE 100 Index it was 7074.3; dividing the former by the latter gives a ratio value of 2.59 (the last value plotted on the chart). As can be seen, the ratio fluctuated in a sideways range from 1985 to 1999. And then the great out-performance of the FTSE 250 over the FTSE 100 began (on 18 Jan 1999 to be precise). Over the following 16 years to today, while the FTSE 100 Index increased 16%, the FTSE 250 gained 274%. 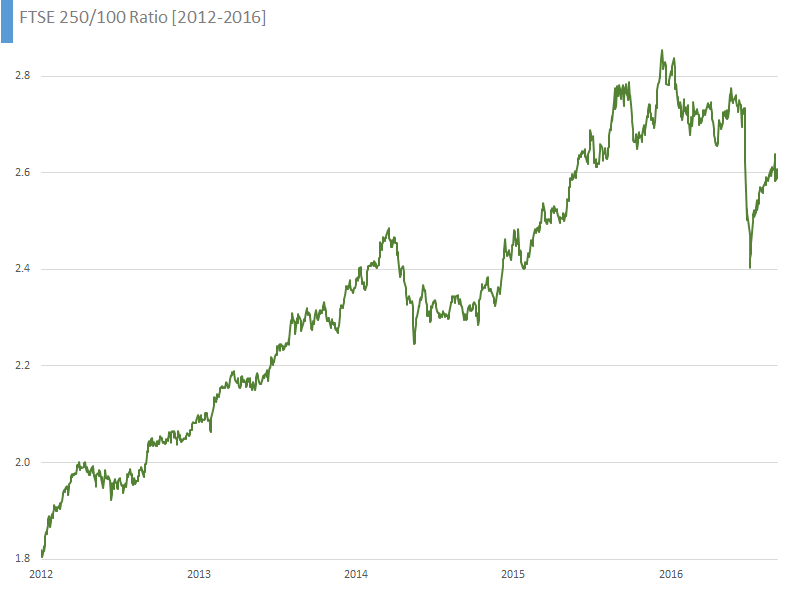 The following chart zooms in to show the FTSE 250/100 ratio for the more recent period since 21012-2016. This entry was posted in Long term, Market, News and tagged MCX, UKX by Almanacist. Bookmark the permalink.